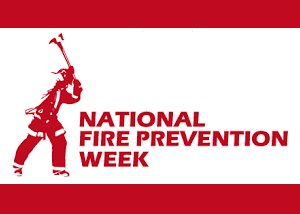 With national fire prevention week upon us I thought I would speak to drills. Specifically those that help us practice disaster recovery skills. As our businesses are ever more reliant on IT services we must be in a position to address service delivery when and if a disaster occurs. Keep in mind that when we are talking about disaster while we may envision earthquakes or floods, we are really talking about events which are impacting the ability to operate the business. This could be a transit strike, or weather which makes travel into work a significant challenge. To ensure that we are as prepared as possible we should have a disaster recovery plan in place. A disaster recovery plan should outline the actions your IT department is required to take in event of a service interruption or outage of any kind, despite the type of disaster. Having a plan in place is a good start but you need to be able to ensure that you can carry the plan out. Plan to do both active and passive testing. Active testing (which may be performed annually should simulate the entire disaster from start to end as though it was the real thing. This should include full functional testing of a complete restoration of all critical hardware, network and data. At completion a post disaster review should be completed to go over all the things that went well and areas that still need some work with actionable items. The passive tests should walk through the procedures without the actual restoration part, but you should be validating that the work could be completed even if we do not actually initiate the work of doing it physically. Like a fire drill, we want to be prepared and ensure that the plan we have in place is something that we can rely on in a real emergency.